We are proud of the people who work at KFC, they strengthen and enrich our company and the people we serve. We believe in evolving our organization by attracting and developing people with potential. 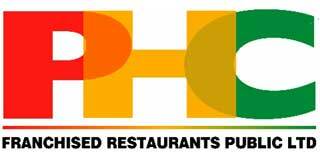 Come and be part of PHC Franchised Restaurants Public Ltd. the largest chain of franchised restaurants in Cyprus. Strong work ethic and honesty.